Apps, gadgets and other technologies can all make a difference to teachers – whether in the classroom, the teachers’ lounge or at home. Here’s an overview of the most useful ed-tech apps, tools and devices used by teachers today. Email and instant-messaging tools give teachers the opportunity to send out newsletters and reminders, and provide students with a confidential channel for discussing issues both inside and outside the classroom. Social media platforms such as LinkedIn and Twitter enable teachers to expand their relationships and networks beyond the school grounds and to share new classroom ideas with peers and education experts around the world. 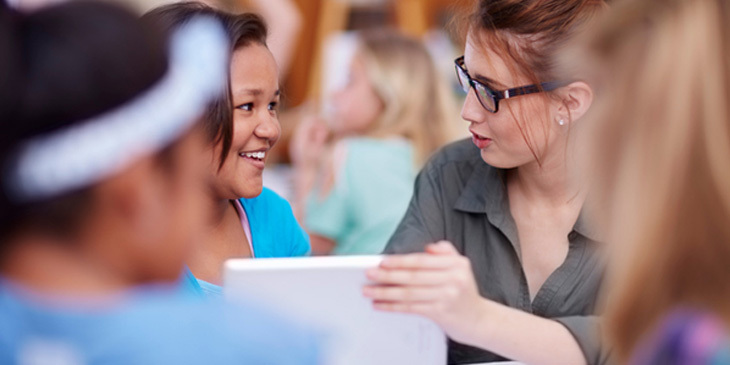 Whether it’s meeting with parents, colleagues and stakeholders in remote locations or getting together online to chat with a mentor or fellow teacher at another institution, conferencing tools like Skype, Google Hangouts, FaceTime, WebEx and the like make it easier than ever for teachers to communicate and collaborate. With laptops, tablets and smartphones becoming commonplace in the classroom, more teachers are turning to tools like Nearpod, Office Mix and Prezi, which can be used to create fun, interactive lessons and presentations. They use polls, questions, videos and other media to provide students with a richer, more engaging classroom experience. Their real-time feedback and post-session reports on student comprehension can make assessments a breeze. Many lessons can be enhanced by video. It can facilitate thinking and problem-solving, improve retention, and inspire and engage students more than textbooks. YouTube is home to millions of videos tagged #education, many of which are posted by other teachers. Teachers can also use it to post videos of lessons for those unable to attend class. For teachers who want to develop their own content, they can create fun and easy animated videos with PowToon. Sick of Post-it notes? A digital note-taking tool such as Evernote can help teachers organize everything related to their jobs, share notes and notebooks with peers, create checklists and more. Pinterest is another favorite with teachers, serving as a digital pin board where they can organize their favorite internet-based resources in one convenient location. Imagine being able to “walk” through an ancient city, or explore inside an old steam engine in 3D. Virtual reality (VR) can bring a subject to life in a way that other types of digital media cannot. Using a head-mounted display and data glove, VR can be a hugely valuable learning aid, making use of immersive video and touch feedback to help students come to grips with even the most difficult concepts. These are just some of the many useful ed-tech tools and apps available to teachers. Using their research skills and creativity, teachers have countless ways to make their classes more efficient and effective through technology.